Nanabozho’s Sisters is an exhibition that acknowledges the history of Indigenous women’s contribution to the deployment of humour, irony, and satire within the visual arts. 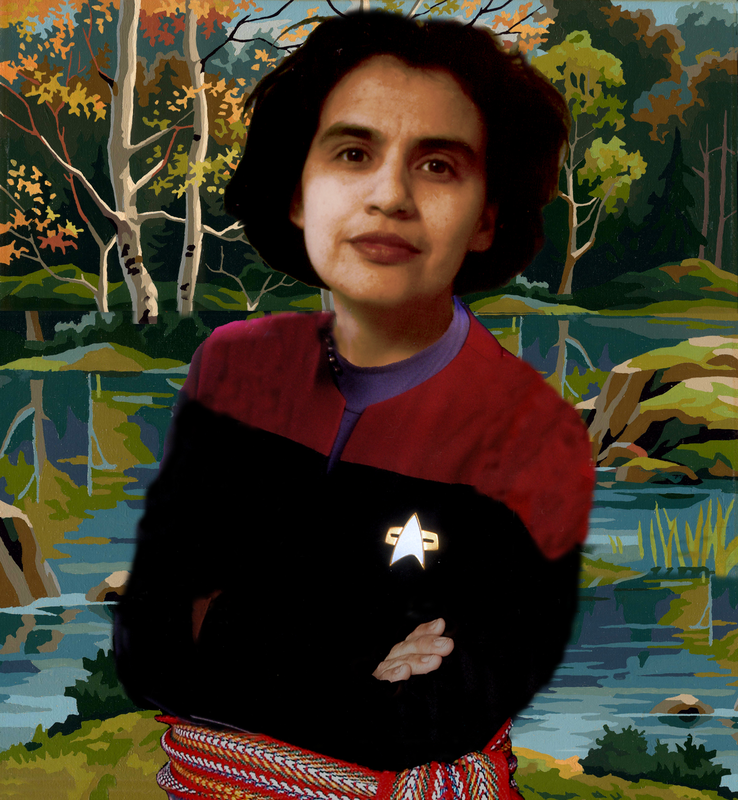 Nanabozho is a ‘trickster’ figure in Anishinaabe stories who can transform into any gender or animal form, and we often find ourselves laughing at their actions or admiring their bravery. Through the Trickster spirit all things that seem entrenched, held sacred, formalized, and organized can be disrupted, scattered, disorganized, and transformed. The Trickster spirit is released in this exhibition through the artistic strategies of masquerade, mimicry, parody, ironic reversals, comedic scenerios, anachronistic combinations, and satirical creations. Spanning more than thirty years, the exhibition presents work by artists who explore representation and self-representation of Indigenous women and culture—using the Trickster’s toolkit. From The Rebel, a photograph by Shelley Niro depicting her mother lying across the top of a Rebel sports car in a typical fashion model pose, and Rebecca Belmore’s parody of tourist souvenirs in (High-tech) Teepee Trauma Mama, to Ursula Johnson’s self-effacing yet unflinching Between My Body and Their Words, these works use the transformative power of humour to undermine, and create alternatives to, colonialist stereotypes, and to honour and empower Indigenous women’s bodies—in all their lived glory.